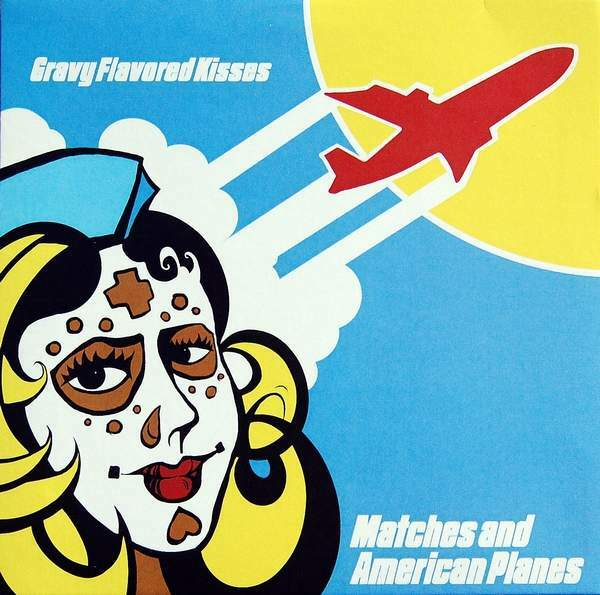 Gravy Flavored Kisses will release their debut full length album ‘Matches and American Planes’ on 20th November. The tracks feature a big sound on every song, from the equally gravelly and melodic harmonies, and this upbeat sound has plenty of infectious riffs, backed up by a horn section. It shouldn’t work with this mixture of instruments but there is something about it that captures your attention and is easy to listen to. The band describe the album as: “It contains stories of unrepentant men and powerful women crashing head long into an unflinching world. These stories are rendered through soaring vocals over punches of brass, crunchy guitar riffs imposed on funk laden grooves and vicious trombone duels echoed by wailing trumpet solos”. Gravy Flavored Kisses was founded in New Orleans in 2010. The members have diverse musical backgrounds including jazz, classical, country, hip hop, The released their debut EP ‘In the Red’ in 2011. Their second EP ‘The Mail’, which was released in 2012 and received high critical acclaim. Their music style is a mixture of dirty blues riffs, soulful rock melodies, blaring horns, and infectious rhythms that combine to form music that is diverse, energetic, and unique.